Just because our days of exchanging Valentine’s Day cards at school are over doesn’t mean we can’t give our friends a little something on V-Day. Today I am going to show you how to make an adorable little DIY gift to give to your friends for Valentine’s Day. 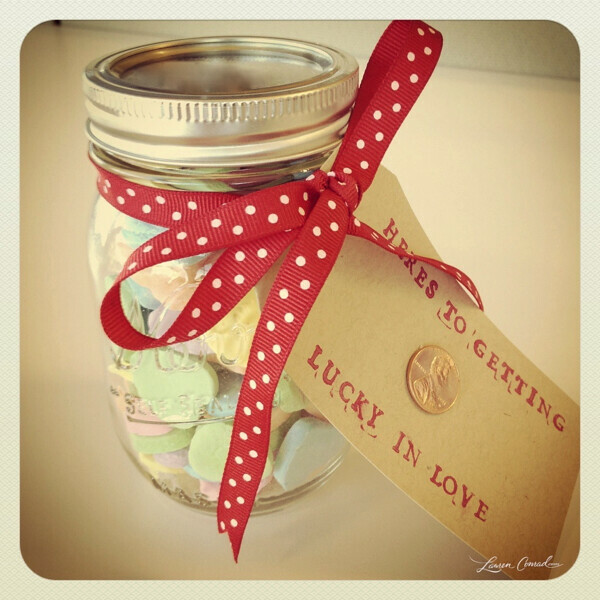 It’s called a Lucky in Love Jar! Using the hot glue gun, glue your lucky penny smack dab in the middle of the tag (heads up, of course). 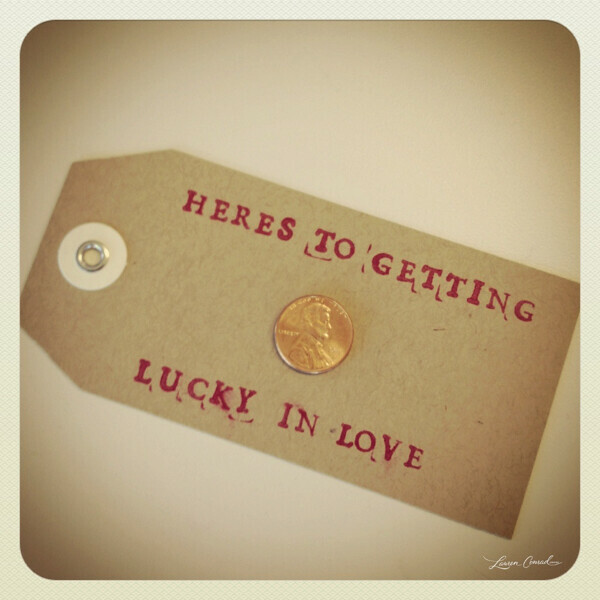 Next, take a letter stamp set or a Sharpie and write the message “Here’s to getting lucky in love” onto the gift tag around the penny. Use the ribbon to tie the tag onto a mason jar and fill it with Sweethearts or your other favorite candy. Are you going to give this DIY a try? Also, if you have a cute V-Day craft, share your idea in the comments below!